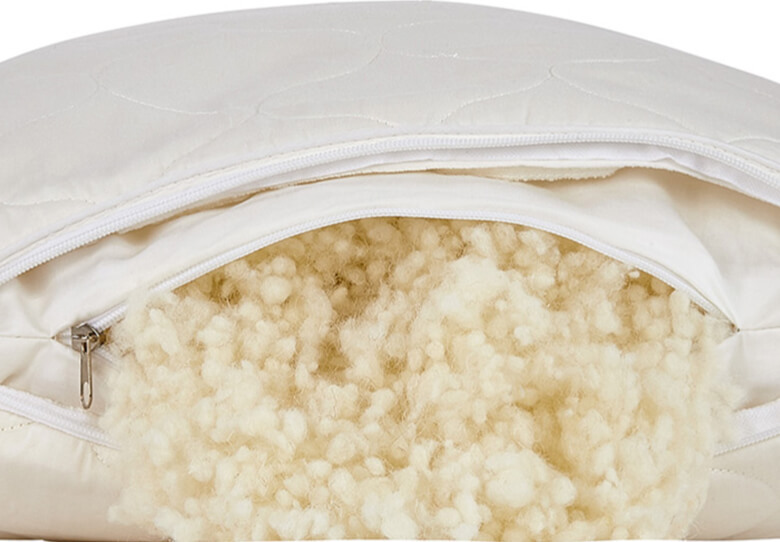 Shop the Joybed Wool Pillow - Natural sleep is better sleep. Washable, adjustable and keeping you cool. British Shropshire wool in this pillow has the same cooling and moisture wicking properties as the mattresses. So you can sleep cooler, dryer and more restfully during the night. The "woolly puffs" are machine washable, and can be removed to adjust the firmness of the pillow to your personal preference. King Pillow: 26" x 30"
The pillow is filled with British wool so you enjoy the temperature regulating benefits of wool. 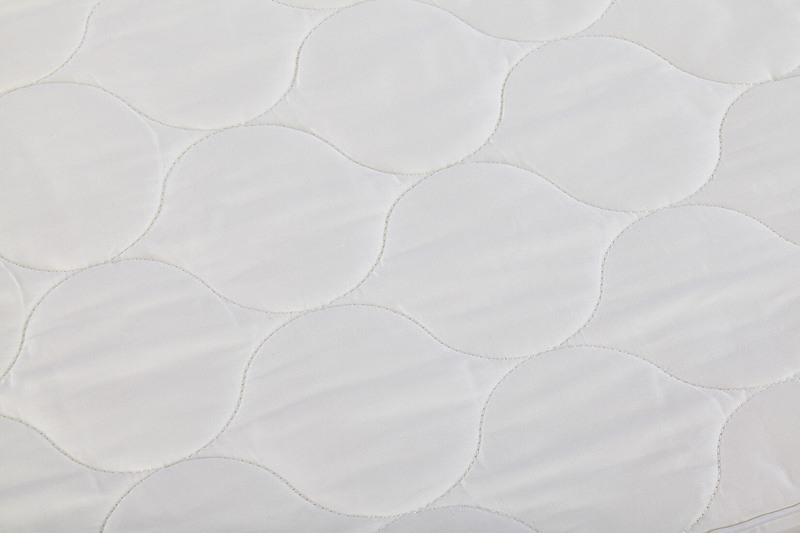 The wool clumps are removable so you can adjust the pillow to your comfort preference. The pillow is machine washable so it's easy to maintain and keep it clean. The pillow is covered with a 300 thread count cotton cover. It's machine washable for your convenience to help keep it clean for many years.